If you’re looking to lift the curb appeal of your home, the solution may be written in stone. Homeowners are increasingly turning to manufactured stone veneer, a lower-cost alternative to natural stone siding, to spruce up the exterior of their homes. In Remodeling magazine’s 2016 Cost vs. Value Report, manufactured stone veneer ranked as the No. 1 bang-for-your-buck exterior remodeling project, with an average nationwide return on investment of 92.9 percent. In some places, the average ROI for manufactured stone veneer projects was even greater. In the Dallas area, for instance, it was 108.6 percent, while it was 163.4 percent down the road in Austin. “Manufactured stone veneer isn’t a brand new trend, but thanks to advancements in its development in recent years, it has become a more reliable project that can add considerable resale value to a home,” says Leslie Rouda Smith, 2016 chairwoman of the Texas Association of REALTORS®. Ramsay Hawfield, vice president of marketing and product development at manufactured stone veneer maker Eldorado Stone, says the veneer most often is used on the exterior of a home, either to cover the entire structure or in tandem with another siding product. It also can be added inside the home. Among the interior applications are kitchen backsplashes, arched ceilings, accent walls and fireplace mantel surrounds. 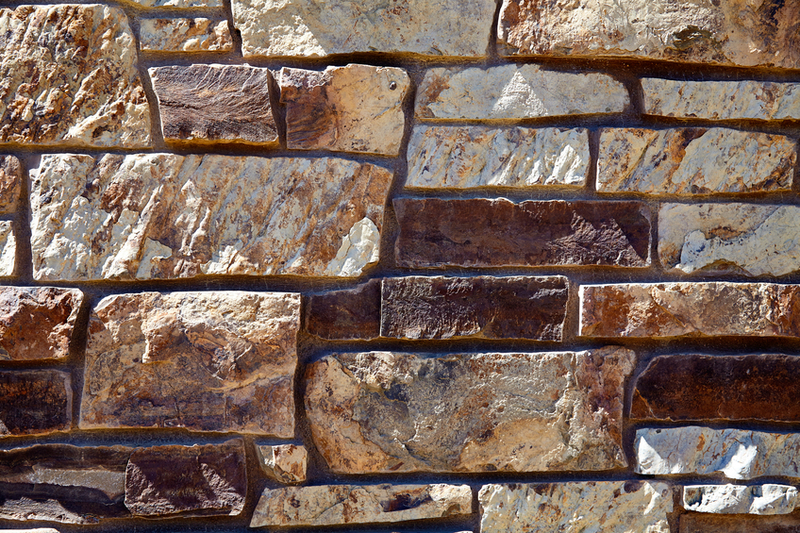 What makes manufactured stone veneer an effective option for remodeling projects? One of the advantages is that it weighs about one-third to one-half as much as natural stone veneer, reducing installation costs, shipping costs and installation time. A calculator on the Homewyse remodeling website estimates a 120-square-foot manufactured stone veneer project (including materials and labor) in Austin’s 78745 Zip code would cost $8.84 to $17.94 per square foot, compared with $14.58 to $21.92 for the same project with natural stone veneer. Aside from being less expensive, manufactured stone veneer is more versatile than natural stone veneer. “Manufactured stone veneer is available in almost any texture, shape and color you can think of, as opposed to the limited palette of natural stone,” Smith says. Although an array of colors is available, neutral colors such as browns and grays remain the most popular shades of manufactured stone veneer, says Elizabeth Woff, a spokeswoman for home improvement marketplace BuildDirect. “By using manufactured stone veneer, the homeowner or architect can pick out exactly what stone texture and color they will put on their project,” Hawfield says. John Egan is editor in chief at LawnStarter, which helps people find, schedule, pay for and manage lawn care services.